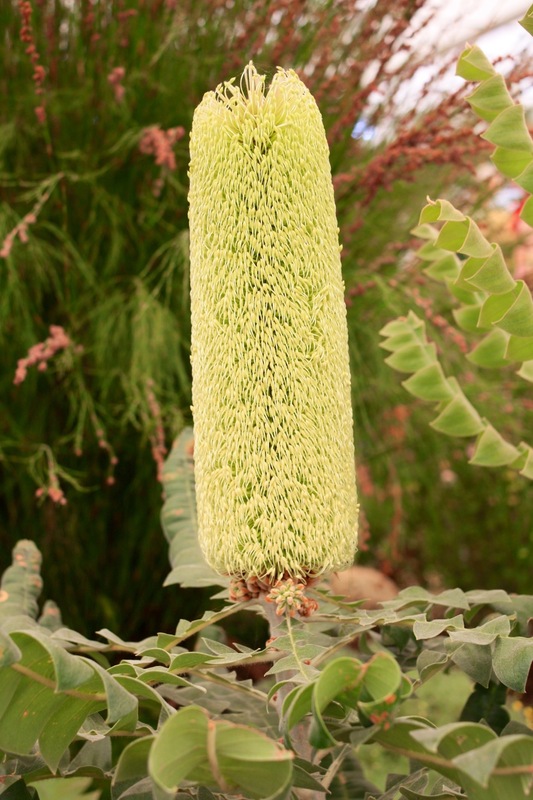 Looking for all the world like a giant loofa or an anaemic bearskin hat, this is the impressive flower of Banksia grandis. The proud plant it belongs to was displayed for everyone to admire at the Hampton Court Palace Flower Show by Trewidden Nursery of Cornwall. 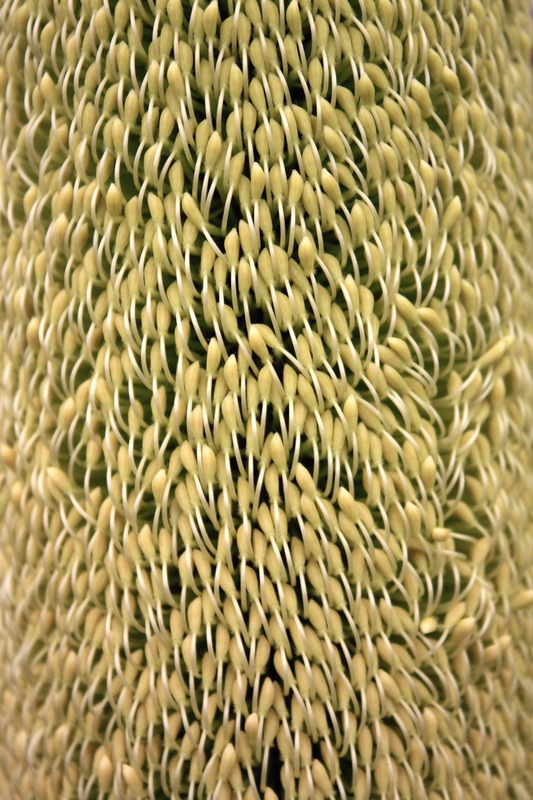 Commonly known as the Bull Banksia or Mangite, it develops into a distinctive tree in South Western Australia where it tolerates temperatures down to -5 degrees.